We will not release personally identifiable information about you without your permission (except as needed to provide to you the services you have expressly requested). See “9. Third party relationships”below. From time to time new tools and enhancements will be introduced onto the site. Please visit this page from time to time to find out what’s new in relation to these enhancements. Anonymous information is not personally identifiable information. Anonymous information is information about how you use our site (such as sites you visit and searches you do). Anonymous information also includes the domain names and/or IP addresses (see “8. Use of IP addresses” below) of Internet browsers that visit our site, the time of day the site was visited, and other non-personal information. Anonymous information is information that is not tied to any person, but helps us know what our users do (for example, the average stay on our site lasts over 5 minutes). You can visit our site and use many of our services without telling us who you are or revealing any personal information about yourself to us. It is only when you register for certain services with Maine Maritime Academy that you will be asked to provide us with personally identifiable information. An Internet protocol (IP) address is a set of numbers that is automatically assigned to your computer whenever you log on to your Internet service provider or through your company’s local area network (LAN) or wide area network (WAN). Web servers, the computers that provide web pages for viewing, automatically identify your computer by the IP address assigned to it during your session online. We may collect IP addresses for some purposes (for example, to report anonymous user information and to audit the use of our site). We do not link a user’s IP address to a person’s personal information, which means we will have a record of each user’s session but the user remains anonymous to us. We will only pass on your personal information to named third parties if you expressly permit it and we will always give you the option to decline this. Compliance with General Data Protection Regulations (GDPR) applies to European Economic Area (EEA) visitors/users. In order to complete a requested action for a visitor/user, we may collect and use personal information with your consent. Under certain circumstances, you have the rights under data protection laws in relation to our personal data. If you wish to act on any of the rights listed here, please contact us at gdpr@mma.edu. The Information on this website is intended to be helpful and informative. However, neither Maine Maritime Academy nor any of its employees, agents or sub-contractors make any warranty, express or implied, or assume any legal liability or responsibility for the accuracy or completeness of any information contained on this site or any web site referred to. Those who access the site or any site referred to should take appropriate steps to verify all such information. Maine Maritime Academy and its subsidiaries cannot be held responsible for the contents of any pages referred to by an external link. 1.1 “This Site” refers to all internet pages in the mainemaritime.edu domain. 1.2 “www.mainemaritime.edu” refers to any organization involved in any part of the design, development, management, response-handling, marketing, promotion or other similar aspects of this Site. 1.3 “User” refers to any person viewing or interacting with this Site, including “you”. 1.4 “Content” refers to any text, photograph or other image presented on this Site to Users by either www.mainemaritime.edu or Users. 3.1 Except where otherwise expressed, all opinions, advice, statements, offers, or other information content made available through this Site are those of Maine Maritime Academy. 3.2 Maine Maritime Academy reserves the right, but has no obligation, to edit or remove any Content without question, reason or notice. 4.1 The Content made available in this Site is provided “as is” without warranties of any kind, either express or implied, including but not limited to all implied warranties of satisfactory quality, fitness for a particular purpose, title, or non-infringement of any third party rights including, without limitation, intellectual property rights. Maine Maritime Academy does not warrant that the Content will be error free. The Content may include inaccuracies or typographical errors that will be corrected as they are discovered at Maine Maritime Academy’s sole discretion. 5.1 This Site links to websites operated by third parties. 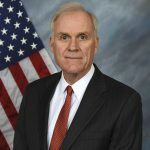 Maine Maritime Academy does not control these third party websites and is not responsible for their content. The presence on this Site of a link to a website operated by a third party does not imply any endorsement by Maine Maritime Academy of that third party or of any products or services advertised, or other information or content featured on that website. Nor does it constitute any assurance by Maine Maritime Academy that that website has in place security measures to protect information which you may submit online. 6.1 Under no circumstances shall Maine Maritime Academy, nor affiliates, staff, agents or suppliers, be liable for any damages, including without limitation, direct, indirect, incidental, special, punitive, consequential, or other damages (including without limitation lost profits, lost revenues, or similar economic loss), whether in contract, tort, or otherwise, arising out of the use or inability to use the Content available in this Site or any linked site, even if Maine Maritime Academy is advised of the possibility thereof, nor for any claim by a third party. 6.2 Maine Maritime Academy hereby expressly disclaims any and all warranties, including without limitation, any warranties to the availability, accuracy, or information, products or services, and any warranties of satisfactory quality or fitness for a particular purpose. 6.3 Maine Maritime Academy shall in no event be liable for any failure of performance, error, omission, interruption, deletion, defect, delay in operation or transmission, communications line failure, theft or destruction or unauthorized access to, alteration of, or use of records for any cause of action. 7.1 You agree to defend, fully indemnify and keep fully indemnified at all times, and hold harmless Maine Maritime Academy, its officers, directors, employees, agents and third parties, for any losses, costs, liabilities, damages and expenses (including reasonable fees) relating to or arising out of your use of this Site including, without limitation, any infringement of any third party’s rights (including without limitation intellectual property rights and rights of privacy and publicity) including any breach by you of the terms of this agreement. 10.1 Maine Maritime Academy will store all data including your personal information submitted to this Site. 10.2 Maine Maritime Academy may contact you via email or telephone from time to time to update you about functionality changes and new services on offer. You can opt out of these communications by emailingadmissions@mma.edu. 10.3 Maine Maritime Academy is not responsible for privacy practices of third party websites linked to this Site. 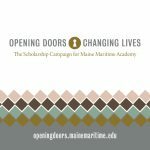 Maine Maritime Academy undertakes not to disclose any of your personal information to third parties without your consent. Maine Maritime Academy follows strict security procedures in the storage of your personal information to prevent unauthorized access. 13.1 All Content and materials on this Site, save where otherwise expressed, are subject to copyright and are protected by worldwide copyright laws and treaty provisions. No logo, graphic, text, sound or image from this website may be copied, reproduced, modified, published, uploaded, posted, transmitted, or distributed in any way, without Maine Maritime Academy’s prior written permission. Except as expressly provided herein, Maine Maritime Academy does not grant any express or implied right to you under any patents, copyrights or trademarks. Copyright Maine Maritime Academy December 2004. All rights reserved.